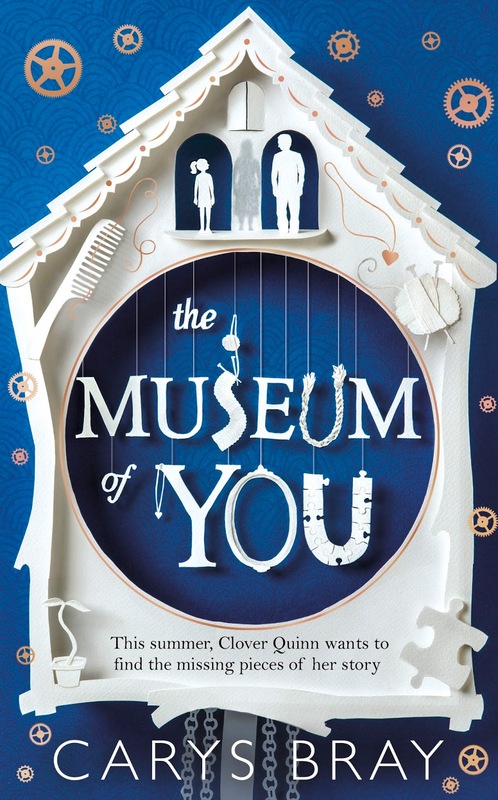 The Museum of You takes place during the summer holiday after Clover Quinn’s first year of high school. It’s a pivotal time for Clover who, on the brink of womanhood, is seeking independence and beginning to spend a lot of time thinking about her absent mother. But it’s also a pivotal time for her father Darren who is trying to step back and give her a little freedom, a difficult task given the past. Darren shuffles down a few steps, away from the pigeon and out of the shade. The stone warms the backs of his legs through his work trousers. He closes his eyes for a moment and tilts his face skyward. As he’s got older the world has shrunk. It sometimes feels as if everything is moving around him and he is stuck, feet in concrete. It’s understandable when he’s at home and the trains squeal past the house on their way to Manchester and beyond, but it also happens while he’s driving the bus; he sits at the wheel and it’s as if the houses and the trees and the fields are whipping past as he remains still, holding tight until he’s allowed to get off. He thought he’d be long gone by now, and yet here he is, circling the slight perimeter of his life: his old house, his primary and secondary schools, the parks, the hospital, the hospice. If he could go back to being a boy he’d retrieve every wish for time to accelerate; his rush to reach double figures, to be thirteen, to be seventeen – he made those wishes never believing there might be a day when he would wish in reverse – to be seventeen, and thirteen, and ten. Darren enjoyed a happy childhood. If he thinks very hard he can retrieve a wisp of annoyance about the times when his mum made banana Angel Delight instead of butterscotch; he can mine some residual embarrassment at the way his dad insisted on wearing a shirt and tie whenever they went anywhere, even to the supermarket, as if without the reinforcement of the tie his neck might fall off; and he can access an ounce of indignation (tempered by a measure of relief) at not being allowed to go to a rave in Sheffield with his best mate Colin when he was 16. But it was happy. No-one died; no-one lost themselves. He would like to arrange equally inconsequential sadnesses for Clover. He has filled the house and garden with things she might want or need one day. It’s all for her, everything. Except what’s in the second bedroom. Those are Becky’s things; they entered the room years ago by via a weathering process; there were occasional downpours, when he swept up the stairs, arms full of her belongings, and there were times when he was surprised by a single object – an odd sock, a hair bobble, a book, a scarf, a letter – and he cradled it all the way to the bed, laying it down where she had slept, where he could no longer sleep. The room is a monument, and a dump. But Clover has plans and, unbeknown to Darren, she intends to spend her summer curating a museum in the second bedroom. Once, twelve years ago, Darren was surprised by the arrival of a baby. This summer he’ll be surprised again. Carys Bray’s debut collection SWEET HOME won the Scott prize and selected stories were broadcast on BBC Radio Four Extra. Her first novel A SONG FOR ISSY BRADLEY was serialised on BBC Radio Four’s Book at Bedtime and was shortlisted for the Costa Book Awards and the Desmond Elliott Prize. It won the Utah Book Award and the Authors’ Club Best First Novel Award. Carys has a BA in Literature from The Open University and an MA and PhD in Creative Writing from Edge Hill University. She lives in Southport in North West England with her husband and four children. 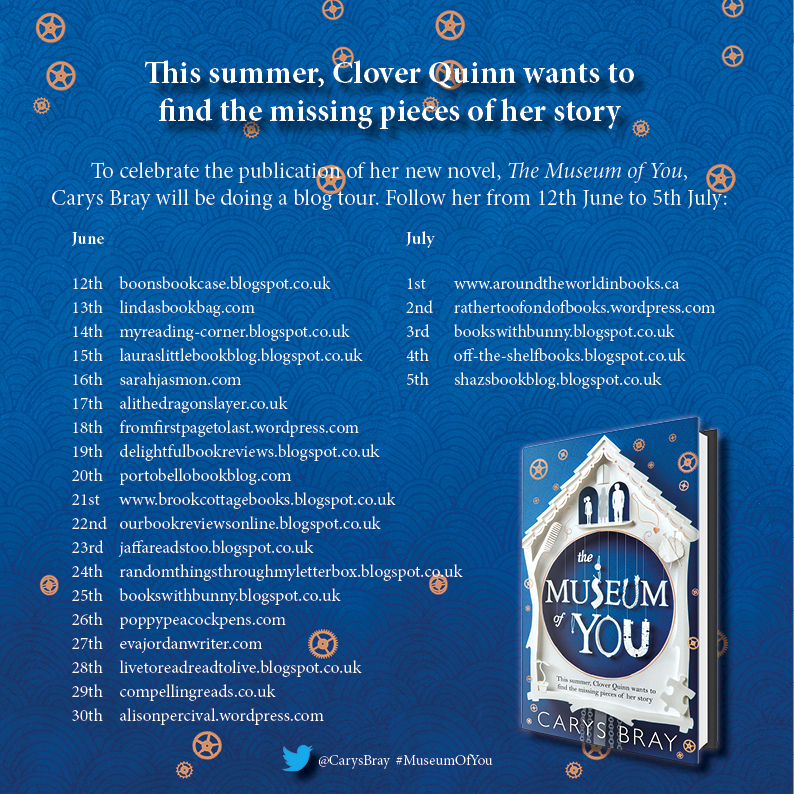 Her second novel THE MUSEUM OF YOU will be published in June 2016. She is working on a third novel.